Official Rules of the Alamance County Meals on Wheels, Inc.
1. A maximum of 8,000 ducks will be entered in the race. 2. Ducks will be launched at or near the Y pool at approximately 3:00 pm on Sunday, September 16, 2018. 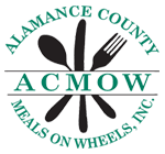 The Presenter (Alamance County Meals On Wheels, Inc) will establish the course. 4. Once the ducks are launched, they are on their own. No attempt to free or interfere with any duck is permitted, unless deemed necessary by the Presenter and its representatives. 5. A number will be attached to each duck, which corresponds to the number on its sponsorship paper. Your lucky duck number is good for multiple duck sponsorships. The sponsors name on the sponsorship papers corresponding to the first ducks, in order of finish, will be awarded the designated prizes, subject to the applicable rules. A list of prizes can be obtained from the Presenter by sending a written request and self-addressed stamped envelope to: Alamance County Meals on Wheels, Inc., Dash for The Cash, 411 West 5th St. Suite A., Burlington, NC 27215. 6. The Presenter reserves the right, at its sole discretion, to substitute prizes of comparable value. 7. The retail value of all donated prizes listed were provided by the prize donors. The Presenter makes no representations or warranties about the retail value of the non-cash prizes. 8. The sponsorship form, if mailed, must be completely filled out and mailed to the Presenter or an authorized representative of Presenter at the address set forth in rule number five (5) above and actually received by Presenter by 3:00 pm, Friday, September 14, 2018 to be eligible to win any prize. Sponsorships may be purchased from the Presenter on Saturday and Sunday, September 15th and 16th, 2018 at the Carousel Festival, weather permitting, to be eligible to win prizes. No mailed in sponsorships will be accepted after 3:00 pm on Friday, September 14, 2018 and no other sponsorships forms will be accepted after 2:30 pm on Sunday, September 16, 2018. No duck sponsorships will be accepted after 2:30 pm on Sunday, September 16, 2018. Sponsors assume the risk of non-delivery of any sponsorship to the Presenter or an authorized representative of the Presenter. 9. All proceeds are to benefit Alamance County Meals on Wheels, Inc.
10. Winners will be announced after the duck race is completed, which will take place within approximately 60 minutes following the conclusion of the race. Winners will, where necessary, also be notified by United States Mail or by telephone. Lucky duck sponsors need not be present to win. A list of race winners may be obtained from the Presenter by sending a written request and a self-addressed, stamped return envelope to the Presenter at the address listed in rule number five (5). 11. If any race winner does not claim his or her prize within 30 days after September 16, 2018, the Presenter will select a substitute winner through the next alternate winner which will be selected the day of the race. All prizes will be awarded. 12. All winners must prove eligibility. All persons must be at least 18 years of age to claim a prize. 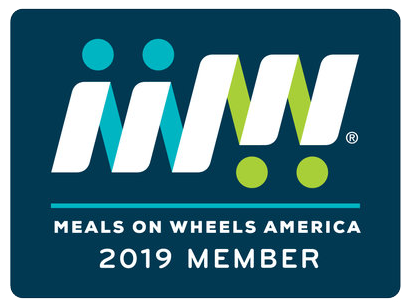 Board Members of Alamance County Meals on Wheels and its paid employees at the time of the race are not eligible to win prizes. 13. No cash equivalent prizes will be provided in lieu of the designated prizes. Any and all taxes and similar fees are the sole responsibility of the winners. 14. The sponsor acknowledges that all non-cash prizes were donated to the Presenter and are neither sold nor produced by the Presenter. By sponsoring a duck, sponsors expressly acknowledges and agrees that the Presenter shall not be liable for any claims or damages related to prizes, including consequential damages. Sponsors expressly release and holds harmless the Presenter, its employees, agents, officers, and directors from any and all liability relating to the prizes, the Rubber Duck Dash for The Cash, The Y, and the Burlington Carousel Festival. Sponsors receive any prizes AS IS AND WHERE IS IN THEIR PRESENT CONDITION, WITH ALL FAULTS. THE PRESENTER DISCLAIMS ALL WARRANTIES AS TO THE PRIZES, WHETHER EXPRESS OR IMPLIED, INCLUDING, WITHOUT LIMITATION, IMPLIED WARRANTIES OF MERCHANTABILITY OR FITNESS FOR A PARTICULAR PURPOSE. 15. By completing a sponsorship form, winners consent to the promotional use of their names and likeness without additional compensation. 16. Chances of winning depend on the total number of qualified sponsorships. 18. The conduct of the race, the determination of race winners, the determination of random duck winners, and the random drawing for unclaimed prizes will be conducted by the Presenter. The Presenter, at its sole discretion will make all decisions and interpretations of the rules and regulations and its judgment is final. 19. A copy of these rules and regulations is available from the Presenter at the address listed in rule number five (5) of these rules and regulations. 20. The Presenter will, at its sole discretion make the decision of holding the duck race at a different time, date, and location or to perform a random drawing of eligible sponsorship forms if inclement weather prohibits the race from being completed on Sunday, September 16, 2018 at 3:00 pm. 21. In the event that any check, credit card, debit card or other form of payment made by any entity for duck race sponsorships is returned for insufficient funds, declined or otherwise fails to transfer funds to Alamance County Meals on Wheels, Inc. then such payer whose payment has failed shall be disqualified from receiving any winnings of any kind from the duck race. Any winnings which would otherwise have been bestowed upon the nonpaying purchaser shall be awarded to the next alternate winner who will be selected on the day of the race. 22. Random duck winners will be selected from ducks which did not cross the finish line first and will be randomly selected by the Presenter. There will be a maximum of 20 ducks selected as random ducks. Random duck winners will be selected from those 20 ducks based on the number of prizes available in that category. Those not selected as random prize winners will be held in case a prize is unclaimed by a random prize winner. A new random duck winner will be selected at random from those who did not initially win a random duck prize.